Founded in 1991, Deerfield Leathers, a private, family-owned and operated company, began as a tiny retail store working with waterproof leathers. The store quickly gained the reputation among the motorcycle community as being a leader in offering high-quality leather products. Since its conception in 1991, Deerfield Leathers has continued to expand its good-quality product offerings in gloves, mittens, and sheepskin footwear, primarily focusing on cold weather products. Some leather products, such as our belts and barn bags, are manufactured here in the USA by reputable craftsmen. 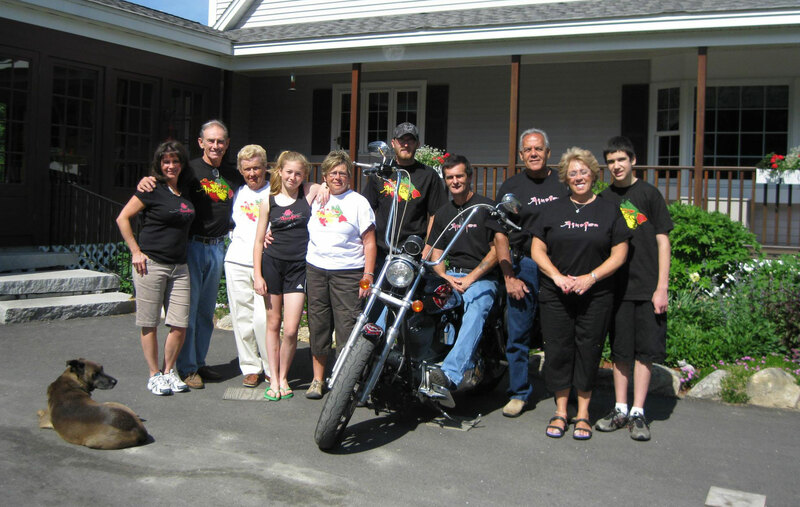 More than two decades later, Deerfield Leathers continues to thrive and has grown its “mom and pop” business into a well-respected, New England based wholesale supplier of high quality elk, deer, goat and sheepskin leather products, as well as maintaining its quality motorcycle accessories offerings. Pat attributes the company’s continuing success to supplying only the highest quality products to his customers and the great people he has working with him on his team. Throughout the U.S. we have manufacturing agreements with superb craft persons for manufacturing our biker products, such as saddlebags, sissy bar bags, fork bags, biker’s wallets, sheepskin bike seat pads and a variety of backpacks, totes, pouches, and ladies shoulder purses. We are wholesalers of elk skin chopper mitts, ultra soft top quality deerskin mittens & deerskin gloves, tan or black, lined or unlined. We hope you enjoy our website and please plan to visit our scenic location. At the age of 17, Patrick Cassier began his journey in the leather industry when he started working for Chemtan, a company who supplied specialty leather chemicals to the leather industry. Pat worked at Chemtan from 1959-1966. During that time, he served in the US Army, 6th Special Forces, in Fort Bragg, North Carolina. In 1966, Pat moved on and took a position with Rohm and Haas, another company who supplied specialty leather chemicals to the leather industry. During his tenure with them, he specialized in the area of waterproof leather. It was during that time Deerfield Leathers was born as a hobby.